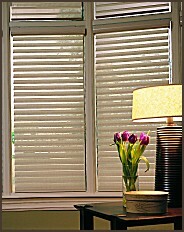 The beauty of sheers, the function of shades and the light control of blinds all in one soft, stylish window covering. 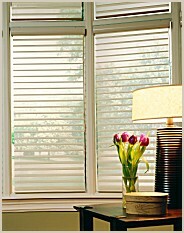 Sheer facings gently filter sunlight and help block harmful rays, while preserving the outside view. 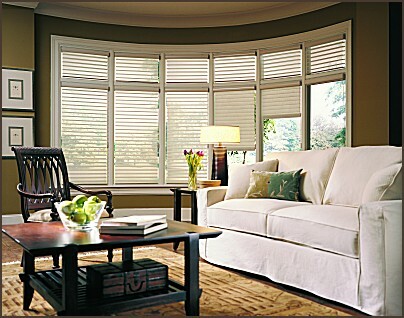 Vanes open and close to provide just the right amount of light and privacy. 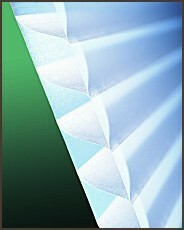 Available in both light-filtering and room-darkening styles for just about any setting.